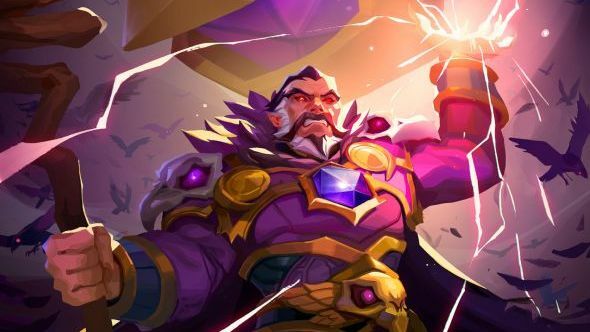 The lastest Heroes of the Storm content drop is Dark Nexus, which brings new skins for Gul’dan and Alarak, as well as a new lore comic, Rise of the Raven Lord. Ahead of the release of the new content, we spoke to HotS’ creative content lead, Kevin Johnson, about Heroes lore, Deckard Cain ships, and the changing face of the game. Heroes of the Storm’s Dark Nexus takes the game back to its narrative roots. What impact will events in the comic have on Heroes of the Storm? KMJ: There are a few things we’ve mentioned previously like skin packs, announcers, and periodic UI shifts. We’re doing everything we can to try and bring the story outside the game inside where possible. Is the plan to continue the comic series with each content drop or might we see comics released between content releases? The comic series will continue across the year, but we will not be wrapping every content release into this particular story arc. We are doing our best to wrap it all in there, but there are definitely some fun and creative deviations from it planned. That being said, the goal of telling a linear story across the year that people can enjoy and have reflected in-game is something we’ve challenged ourselves to deliver on. What can you tell us about the Dark Nexus creatures the Raven Lord dominates? The Dark Nexus is tied, almost at a primordial level, to the base and chaotic nature of the Storm. 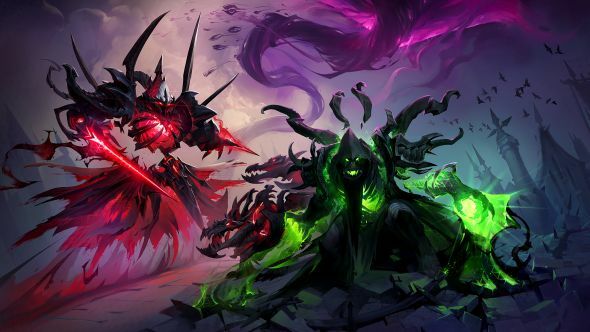 And these avatars (Gul’dan, Dehaka, Alarak… whoever) are reflections of these characters, distilled to their most pure, malicious, and hate-filled elements. You cannot control these characters, but… it appears the Raven Lord has somehow found a way. The comic lightly introduces Neeve and Orphea. Will we have to wait until the next comic to learn more about these characters or have you got tools to tell their story within Heroes of the Storm? Part of what’s going to be fun for us with these efforts this year is watching what people pick up, enjoy, and want to see more of. We’ve got a few options available to us for amplifying story efforts in game, but you’ll see the majority of our story and character development happening in the comics themselves. Heroes of the Storm was light on world-building back at launch but this content drop looks like a change towards a developing plot and story. What drove that decision? And what do you think it contributes to the game? Like you mention, when we launched Heroes we did it with battlegrounds and environments that were unique to the game before beginning to bring in other Blizzard titles. So it’s something that has always been central to the game’s DNA. We’ve spent a good deal of time bringing in familiar Blizzard universes, and we’d like to see what we can do to get back to our roots and bring some new ideas to the table (although that doesn’t mean we’re walking away entirely from bringing in the recognisable stuff). The story efforts themselves help us build a platform upon which we can set these new ideas. We definitely geek out about bringing more definition to the Nexus and obviously are a bit biased in our thoughts there. Have you considered the shipping potential between Neeve and Deckard Cain? OF COURSE o.0 The Nexus is a completely new thing for Deckard and he’s a literal Hero here. The denizens of the Realms are going to find that man attractive on a whole new level. Are there plans to introduce Nexus characters, like the Raven Lord, Orphea, and Neeve as playable heroes? Do you think Heroes of the Storm players want heroes that weren’t born in other Blizzard universes? We talk about doing all kinds of crazy things. The Nexus is such an open playground for being creative and diving in deeper like this certainly unlocks the possibility of a lot of cool content for us. That being said, the prospective hero roster of iconic Blizzard characters that we’ve yet to bring into the game is also pretty deep and compelling; getting all those in will obviously compete for our bandwidth here. What is it like integrating characters like Deckard Cain, who are traditionally weak, and making them into heroes that can fight alongside 9-foot demons and literal tanks? It’s amazingly fun! Deckard is a Hero; the dream is real (not just for us, but for him). And what a perfect, enigmatic place for a character like Deckard to pontificate; he was truly born for this.